It’s been out now for a few weeks, but State of Mind: The Psychology of Control has taken over the consciousness of anyone who sees it. It’s a great film! Using a film making staff of Alex Jones’ historical and psychological stallwarts, State of Mind gets at the key points of control quickly and follows them to their predictable end. Simply put State of Mind will capture your attention from the beginning of the film and hold it all the way through. Andrew W. Griffin of Red Dirt Films has the honor of presenting a solid film review. Read it, then see the film. It’s no secret that we here at Red Dirt Report have been concerned about the subtle (and overt) methods used by the establishment to keep the masses docile and controlled via different forms of mind control. We have written about it on a number of occasions and so we were very excited to learn late last year that Oklahoma City-based Free Mind Films was working on a follow-up to their explosive 2011 documentary A Noble Lie: Oklahoma City 1995 (reviewed here). 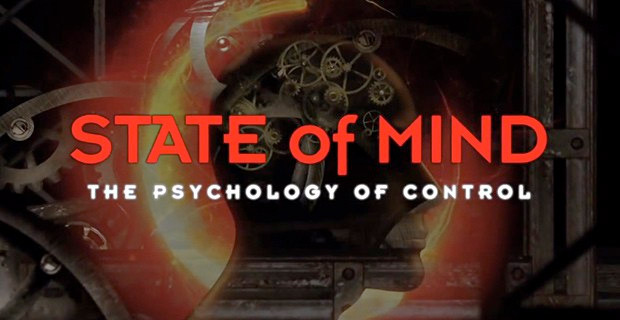 This new film, of course, is State of Mind: The Psychology of Control and since it was officially released on DVD and Blu-ray last week, it has gone viral on the Internet. Directed by Oklahoma native and long-time street activist and filmmaker James Lane, State of Mind (which is being sold exclusively at the online store at Alex Jones’ Infowarsshop.com) takes viewers on a trip through the history of mind control while also offering the viewer powerful information on how to empower themselves. Beginning with a quote from late 19th century American philosopher and psychologist William James, it reads: “Habit is thus the enormous fly-wheel of society, its most precious conservative agent. It alone is what keeps us all within the bounds of ordinance, and save the children of fortune from the envious uprisings of the poor,” as featured in his The Principles of Psychology from 1890. Of course people who “never grow up” are more susceptible to mind control and tend to be far more subservient, which, the filmmakers gently note, is what society’s controllers really want. After all, the “outsider” is usually scorned in much of human society and therefore the status quo is able to flourish, largely unquestioned. Systems of psychological control have been around a long time and it’s only been recently that “the people” have been wising up to what “they” are really up to. Author Doug Valentine tells the interviewer that people are prodded to go along with the establishment indoctrination or you are essentially left out of the fun. Charlotte Iserbyt, a former US Dept. of Education policy advisor, notes that the idea of the “collective,” much through public education, has been foisted upon America and Western society and has played a role in shattering America’s former reputation as a nation of rugged individualism. Author G. Edward Griffin, later, emphasized Iserbyt’s points by explaining that the individualistic system of early America was indeed being pared down to make way for the collectivist future – the “New World Order” that former President George H.W. Bush spoke so glowingly about in 1990 and was referenced by Vice-President Joe Biden this very year. Later, Rappoport notes that mind control is nothing new. It’s ancient. Plato, Sun Tzu, Machiavelli – and many others – were well aware of its power in earlier eras. After all, if you manipulate the masses through industry, people’s pasttimes, education, religious and political leanings, the program of divide and control can be successfully implemented. 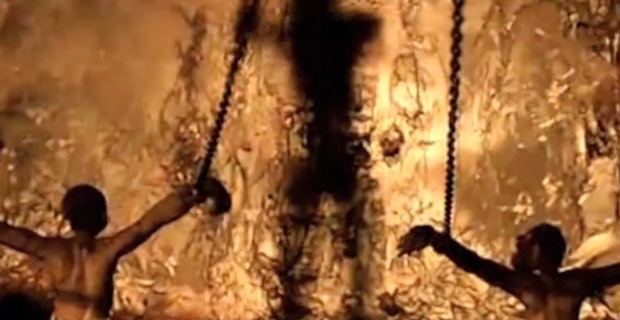 Becoming a cog within the machine of the state is explained via the film. Destroying self-reliance and creating dependence is key. Artificial scarcity is also part of it, as well as making sure “thinking outside the box” happens as little as possible. But beyond that, as the Hegelian dialectic (problem, reaction, solution) explains, history can be manipulated in order to achieve a desired outcome. Create a crisis (9/11 terror attacks, for example) and get the whole nation on a war footing, demanding blood and vengeance. Airline passenger Kurt Haskell, an attorney in Michigan, is interviewed. He is the man who exposed the fraud of the “Underwear bomber” story of Christmas ’09 by showing that it was all pre-planned and they knew what would happen. After all, after that threat, the diabolical Michael Chertoff was pushing body scanners on the public. The Hegelian dialectic at work. Kaye Beach, a blogger and political activist from Norman, is also interviewed. She notes that the idea of the “Panopticon” is real and is part of the spy grid that is taking away our privacy bit by bit. The 19th century Prussian model of education – which is what we use today – was perfected to create a class of workers and consumers who rarely think beyond what the larger community is thinking about. In fact a brief clip of a 1972 interview with behaviorist B.F. Skinner is notable in that he says that the behavior of schoolchildren can be coerced and manipulated through conditioning, not unlike the rats in his infamous Skinner boxes. Skinner, we should note, said humans do not have free will. Think upon that. Alex Jones articulates a number of key points throughout the film at one point addressing the 1966 book by Dr. Carroll Quigley – Tragedy and Hope – and how this “Rosetta stone” of information, as Jones puts it, and explains, over 1,000 pages, how powerful globalists are using a “full-spectrum dominance model” to fund nearly everyone – fascists, communists, political parties of every stripe – while this secret group pulls the strings and benefits from the toil of others as the “collective model” is securely planted. The Tavistock Institute, a British operation, is explained as are the numerous “foundations.” And the propaganda that is “catapulted” onto the public on a daily basis? Look no further than brilliant, early 20th-century propagandist Edward Bernays, the nephew of Sigmund Freud. Bernays, Alex Jones explains, is the “archetypal father of brainwashing and propaganda right as the age of television began and they took his sciences and just wrecked this country.” Bernays was the father of public relations and key to selling ideas to people and manipulate opinion. And don’t forget Project Paper Clip and the Nazi scientists who were brought to America and England during and after World War II, men who were experts in rocketry … and torture and mind control. This would pave the way for government mind-control programs via MK-ULTRA, which would be exposed in the 1970’s, and as Lt. Col. Craig Roberts (retired) notes, was the government’s desire to create a “Manchurian candidate” or “super soldier” and, in effect, creating kamikaze-like troops. Four thousand human radiation experiments were conducted between 1944 and 1974 by the U.S. government, which included unsuspecting hospital patients forcibly injected with plutonium. Yes, it may sound like a bit much for the uninitiated, but it’s not, really. 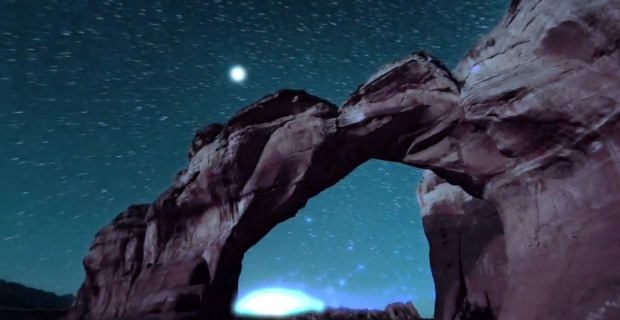 In fact, the filmmakers seemed to go out of their way to make sure the State of Mind is accessible, easy to follow and pleasing to the eye, with graphics, stock footage and historical interviews. Monstrous mind control doctors like brainwashing and shock-therapy expert Ewen Cameron and Cameron’s protégé, the sinister Louis Jolyon “Jolly” West (who killed Tusko the elephant here at the Oklahoma City Zoo in 1962 with a potent mega-dose of LSD). West was a key figure in meeting and “treating” criminal figures from RFK assassin Sirhan Sirhan to Oklahoma City bomber Timothy McVeigh. The present and future appears to be being shaped by the smart grid. It’s all around us and, while useful to a certain degree, is a big piece of the puzzle in regards to controlling people in the 21st century and beyond. Don’t look for State of Mind on the History Channel, the Discovery Channel or even the Jesse Ventura-friendly TruTv. My only complaint, and its minor, is the narrator’s slightly clipped Pennsylvania accent is a tad distracting. I should add that filmmaker James Lane said in an interview that he and his team, including Austin Green, Chris Emery and others, compiled reams of information and interviews but could only include so much in the final product, which, I should add, ends on a hopeful note. Let’s face it. The military-media-industrial complex fears independent, truth-telling films like State of Mind, which are of the high-standard of quality that would rival and surpass any ancient aliens, Bigfoot or ghost hunting “documentaries” that are promoted on those aforementioned cable channels. That is why you, dear reader, must get this film, share it with friends and family and educate yourself and them with the information therein. Show your support for the film makers by adding this shackle-breaking documentary, available in DVD and Blu-Ray, to your home library. Download this film review with videos by first moving your mouse over this link. The depress the button on the mouse that will start the transfer. Hacker of medical devices mysteriously dies at 35 Interesting! Read it! New! Austin Police Officer Kills Innocent Man New! The Archetypal Devil: Satan Speaks!